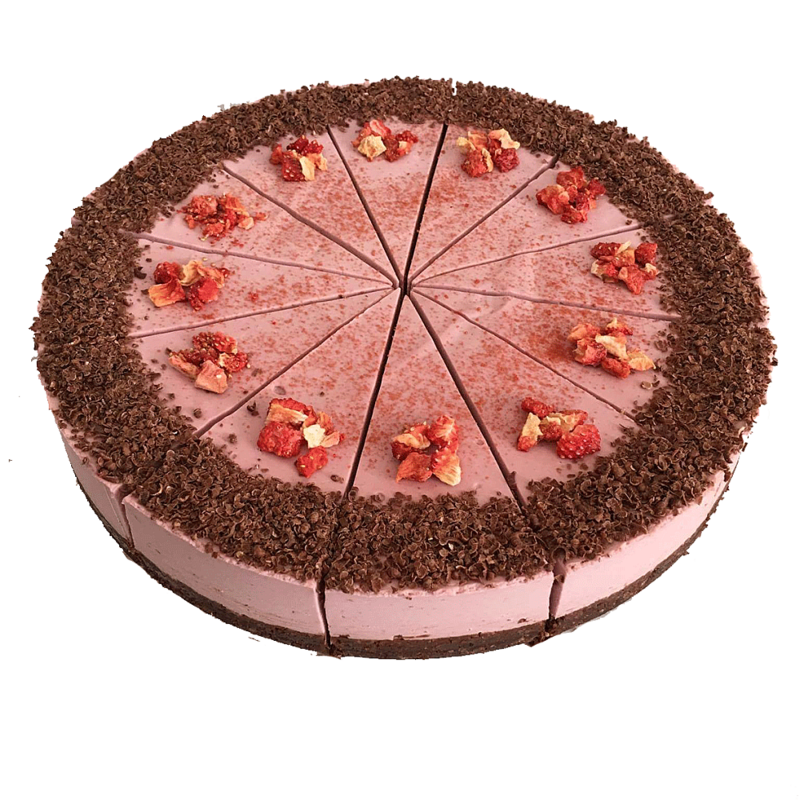 8-inch artisan Strawberry Raw Cake. 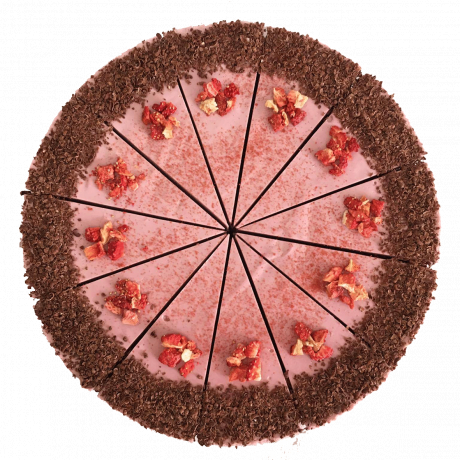 This delicate cake has a succulent strawberry flavour paired with a sweet chocolate base. Absolutely delicious, this cake has proven to be a real favourite. Made with 100% plant based whole foods. 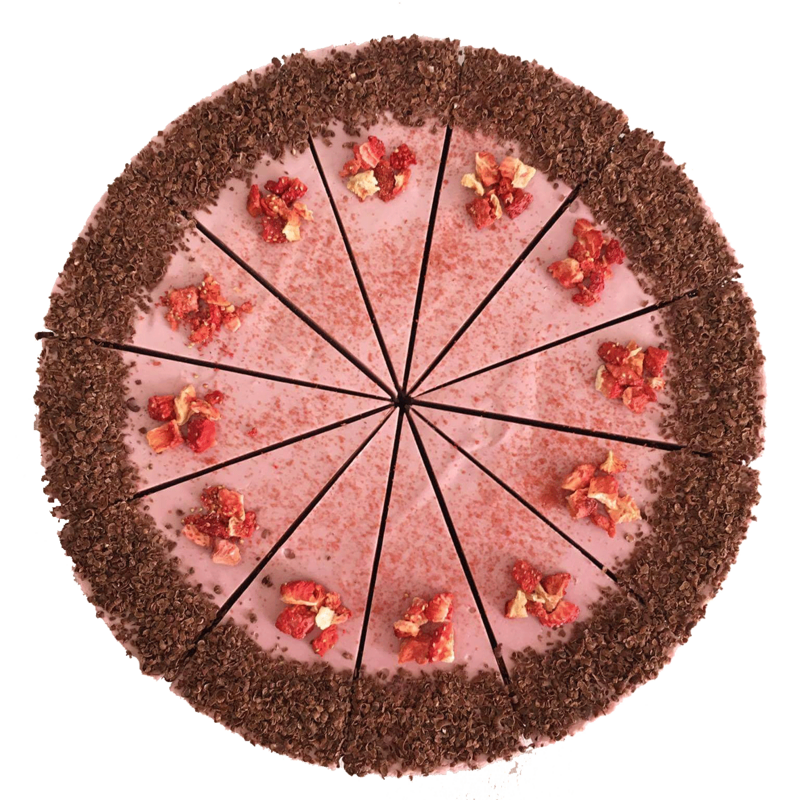 Strawberries, ​Cashew Nuts, Water, Dates, Maple Syrup, Coconut, Coconut Oil, Cocoa Butter, Almonds, Cacao Powder, Lemon Juice, Chocolate, Strawberries Freeze-dried. Allergen advice. For allergens, see ingredients in bold.​ ​Made in a facility that handles peanuts.